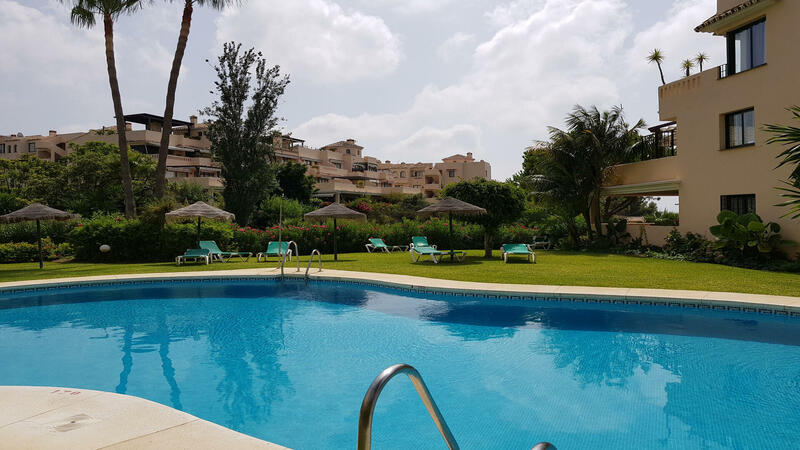 A beautiful ground floor 2 bedroom 2 bathroom apartment located in one of the most sought after locations in Elviria, Marbella. 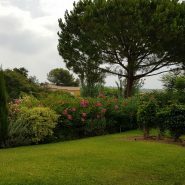 The property is in immaculate condition and offers spacious living area and bedrooms, a large terrace and garden. 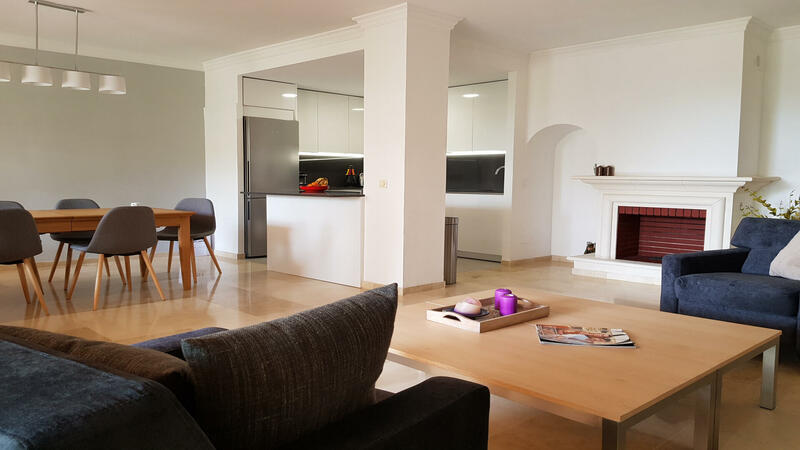 This ground floor apartment is part of the renowed urbanization El Manantial de Santa Maria, a gated community just minutes walk from the vibrant shopping area of Elviria. 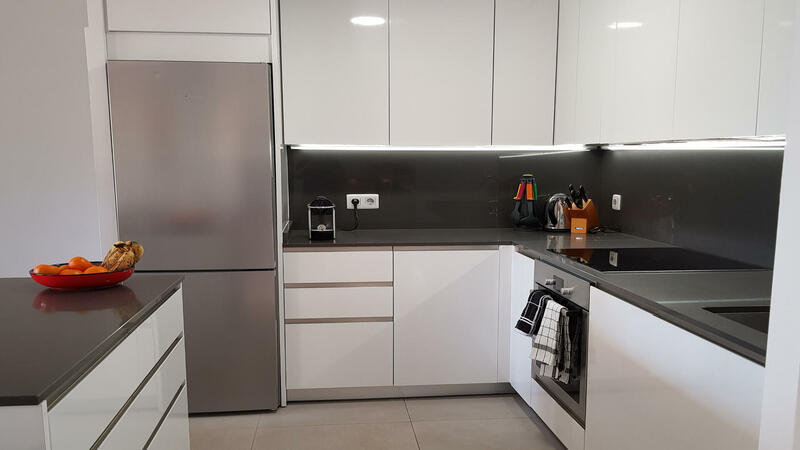 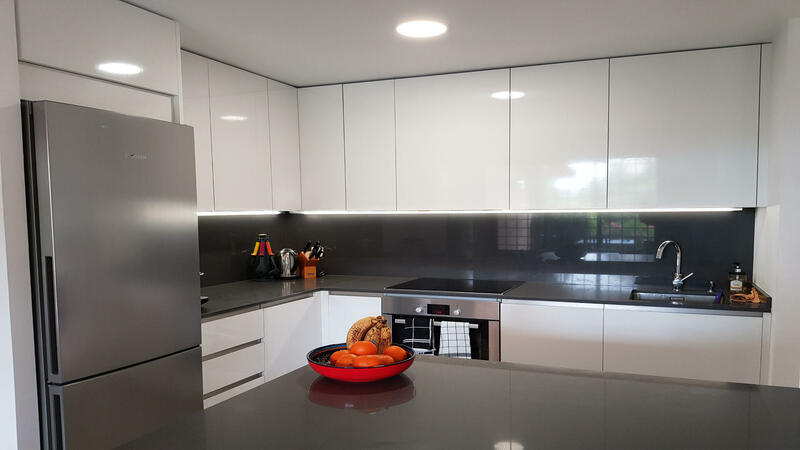 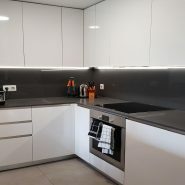 The apartment is in excellent condition and offers recent improvements in bathrooms as well as a brand new kitchen and appliances. 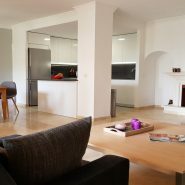 The open plan living, dining and kitchen area offers spacious living area. 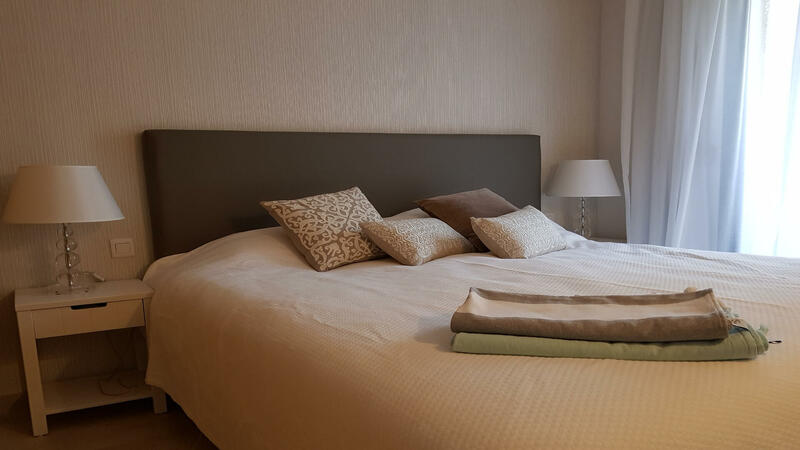 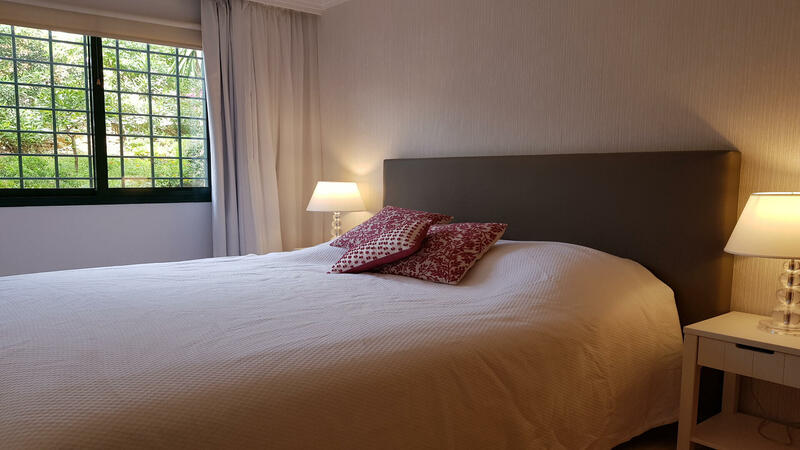 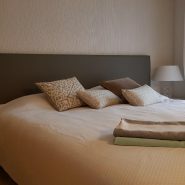 Both bedrooms include built in wardrobes and the master offers a large en suite bathroom. 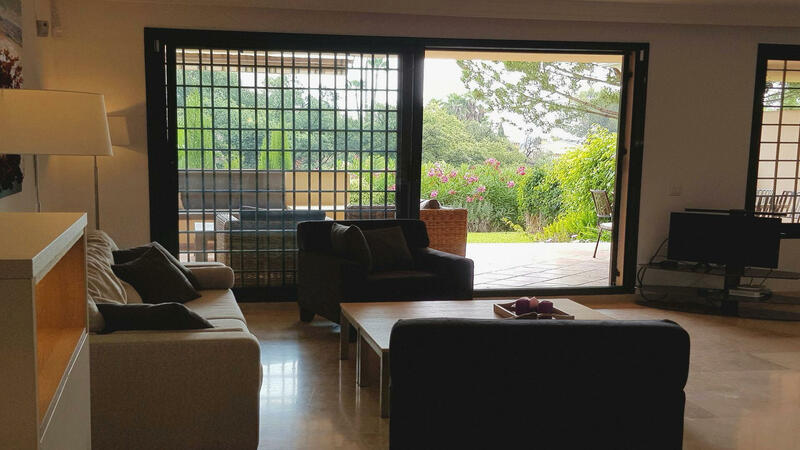 Air conditioning is installed, perfect for hot summers, and there is also a working fireplace for cozier winter days. 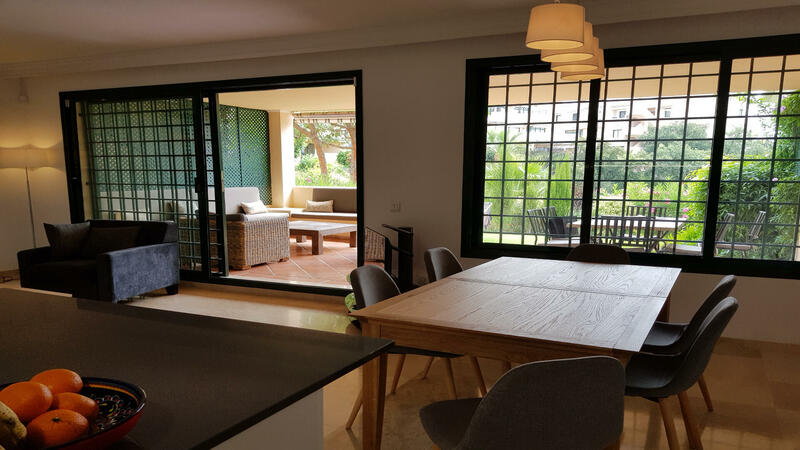 Large quality double glazing sliding doors open on to the spacious and covered terrace which leads to an immaculate sunny garden from where one can enjoy a sea view. 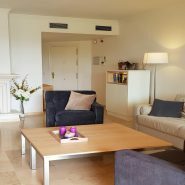 The apartment includes one underground parking space and a storage room. 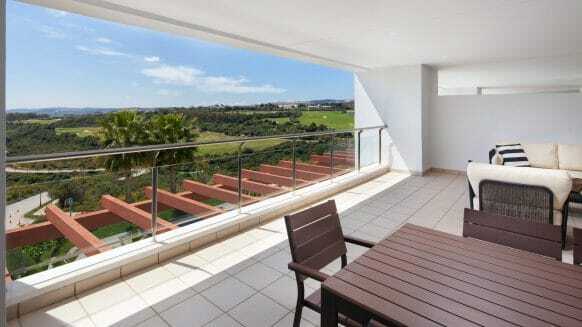 Access to the apartment is via a lift directly from the parking area. 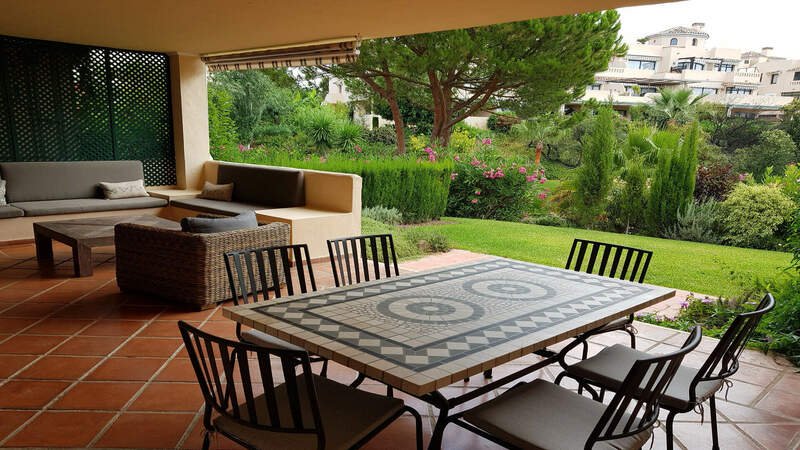 El Manantial de Santa Maria is one of the most recognized complexes in Elviria. 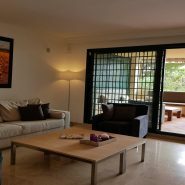 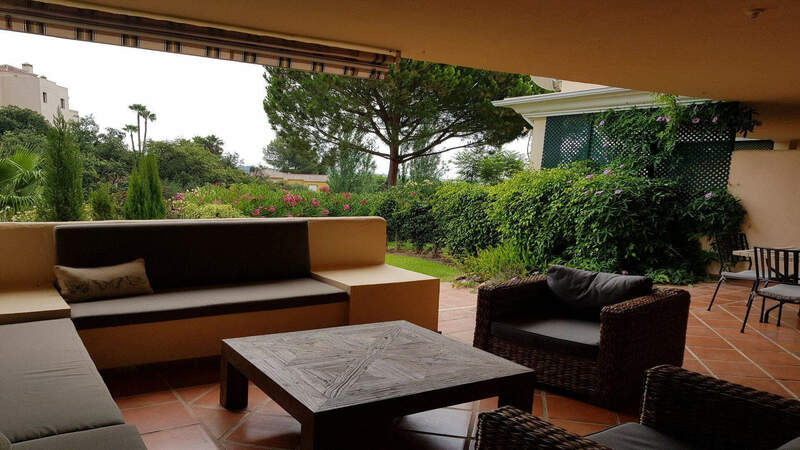 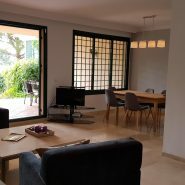 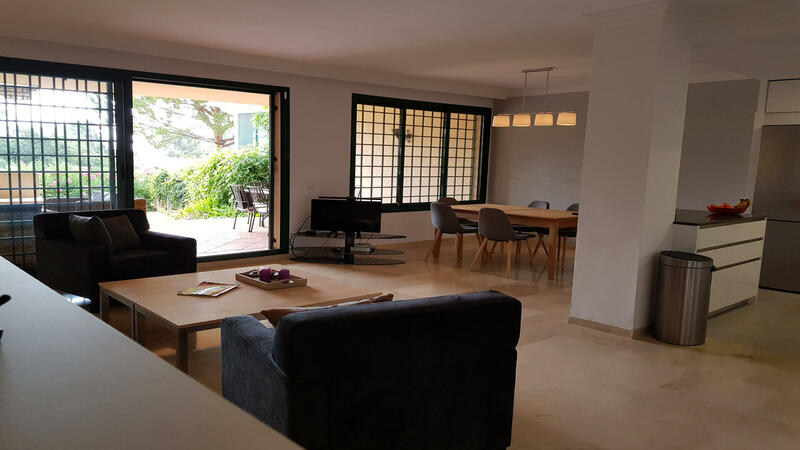 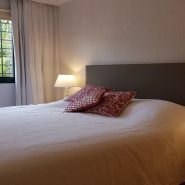 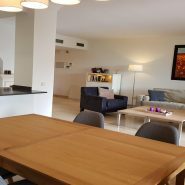 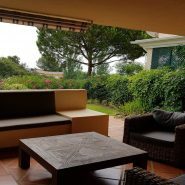 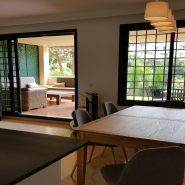 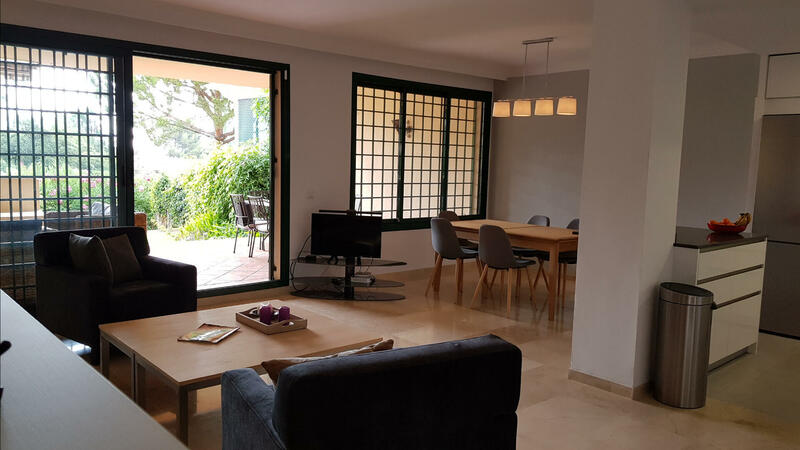 It is located just a short stroll away from the buzzing shopping area of Elviria, also a reference for its excellent gastronomy with many different restaurants and popular cafeterias. 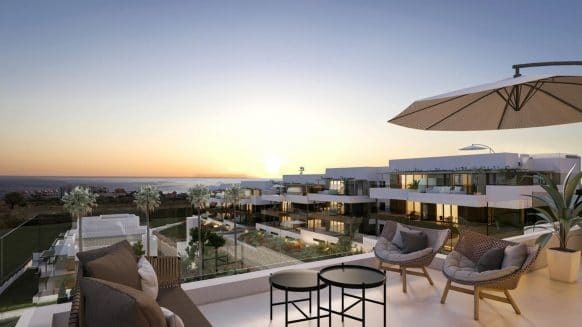 It is also within walking distance to the beautiful beaches of East Marbella, home to fine sandy beaches and famous beach clubs. 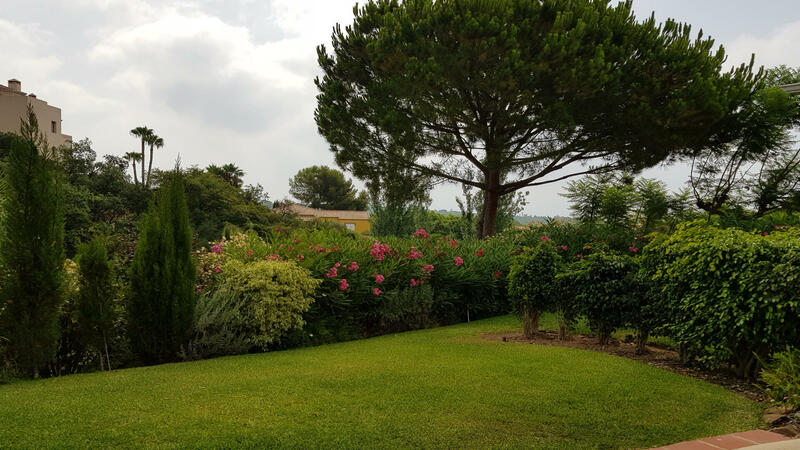 The urbanization consists of beautiful well-kept green areas and manicured gardens with an abundance of beautiful plants. 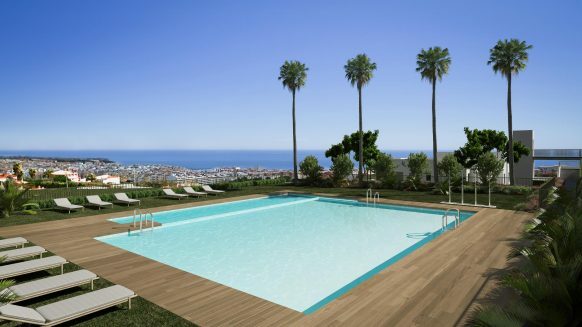 This private and friendly community Community also includes four swimming pools. 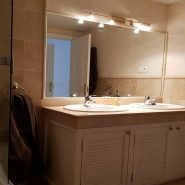 Quality and location is the key with this property. 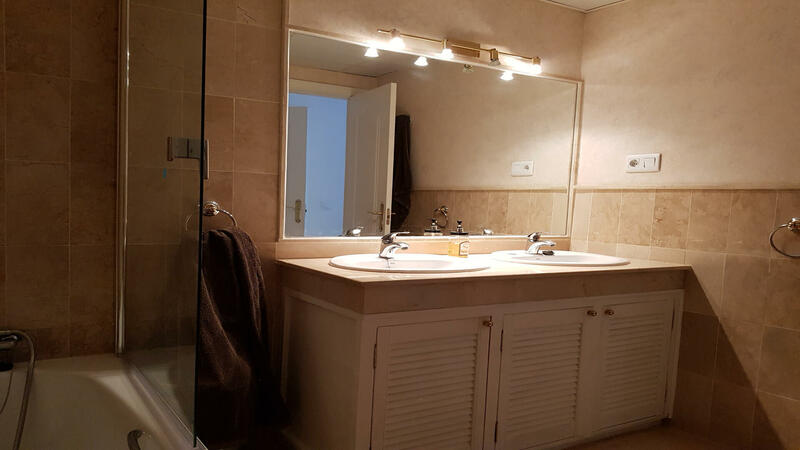 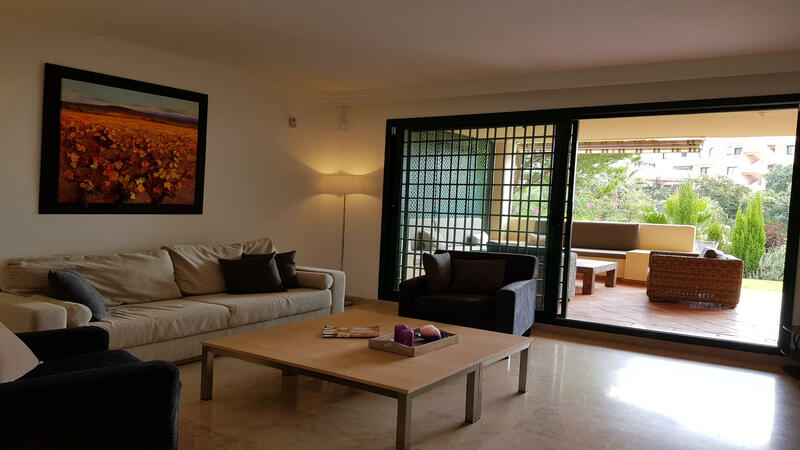 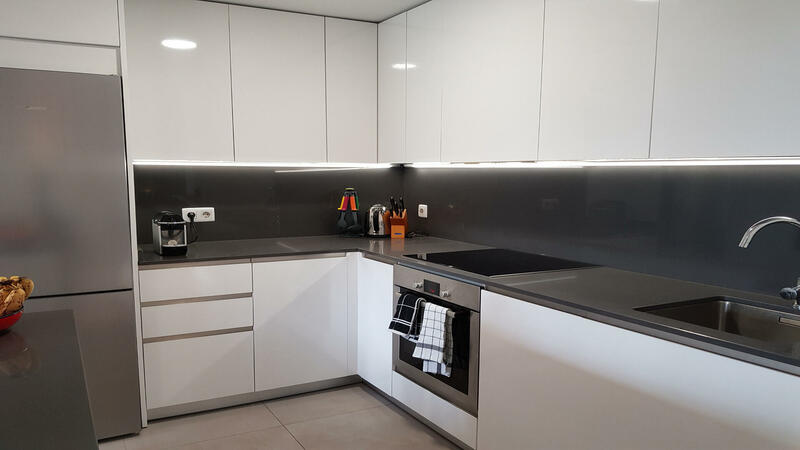 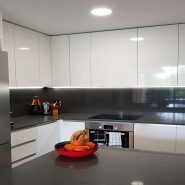 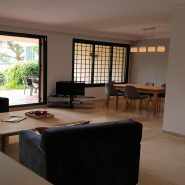 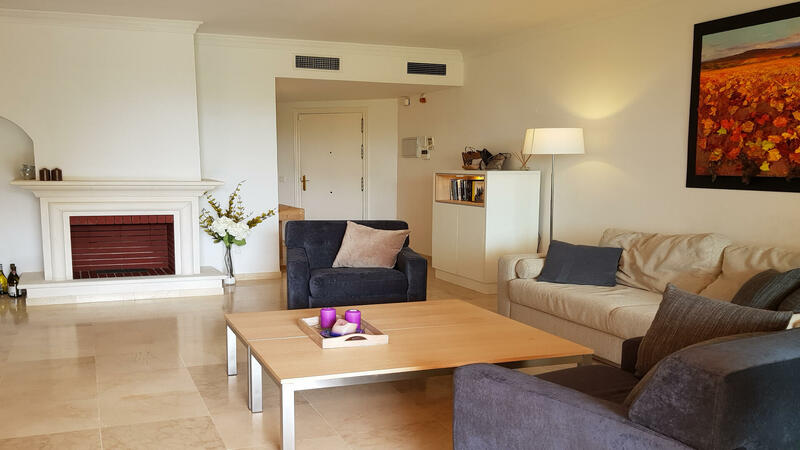 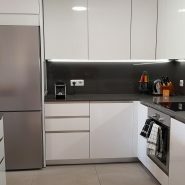 In excellent condition and well located and connected to all destinations on the coast, half an hour from Malaga airport and a short drive to Marbella town and the famous Puerto Banus. 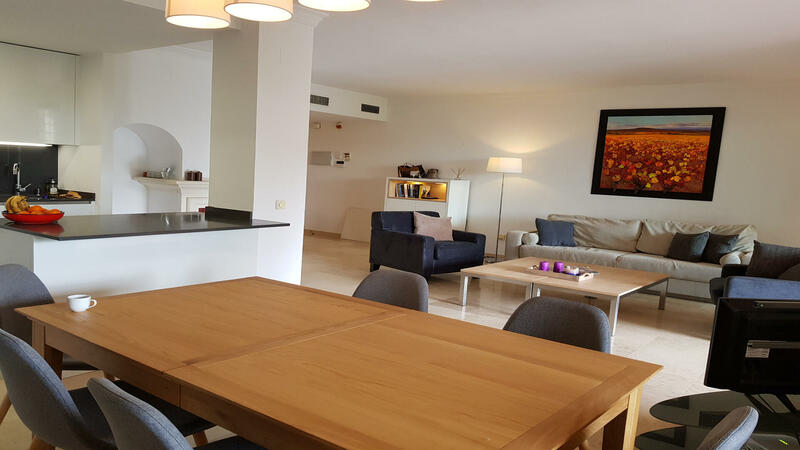 Would you like to visit this apartment and get the positive vibes we receive coming to this apartment? 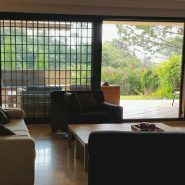 Call us we have the keys and can show you at anytime of the day.